The Council of Ex-Muslims of Britain is outraged to learn of Mariam Yahya Ibrahim’s death sentence in Sudan for apostasy. 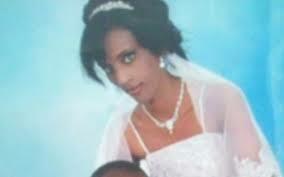 The heavily pregnant Mariam has also been charged with adultery and imprisoned with her toddler. She and her husband are Christian but the judge insists she is Muslim. Mariam is not the first to be charged with apostasy. The case of Mahmoud Mohamed Taha, the Sudanese theologian who was hanged in 1985, remains vivid in the minds of all Sudanese. More recent cases include the 129 people charged with apostasy in South Kartoum/Hay Mayo and forced to repent in order to escape the death penalty. Adultery cases are also not new. The cases of Intisar Shareef, Sadia Idris Fadul and Amouna Abdallah are amongst those reported. Mariam Yahya’s case represent a great number of similar cases where individuals cannot choose or express their beliefs nor have many inalienable rights because of Sharia law. CEMB condemns Sharia law and in particular articles 126 and 146 of the Sudanese criminal code which punishes apostasy and adultery. Apostasy and adultery are not crimes; executing human beings, including for their beliefs or their consensual sexual relations should be. We ask all groups and individuals to put pressure on the Sudanese government and help save Mariam’s life. Also signed the other care2 petition as well - thanks chimera (previously Bicarbonate) too. There's another petition for Mariam Yahya Ibrahim here on Care2. It is going very strong, garnered 100,000 signatures in the first 12 hours it went up. Most of the signatories seem to be American but there's also a strong representation from the Russian Federation.